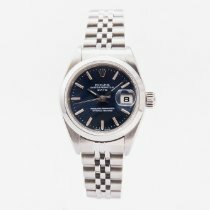 Maunder watch Co have for sale this stunning Rolex Oysterdate Precision from 1971. The watch has a striking silver sunburst dial with silver hour markers. The watch is in very good condition throughout and comes with 1 year maunder warranty. All of our watches have undergone a thorough inspection of water resistance, accuracy, functionality and are authenticated by our specialist watch makers. 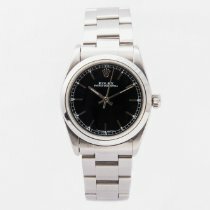 All images of the watch are taken in-house and are of the product for sale. Our shop is located a 37 minute train journey from London Waterloo.